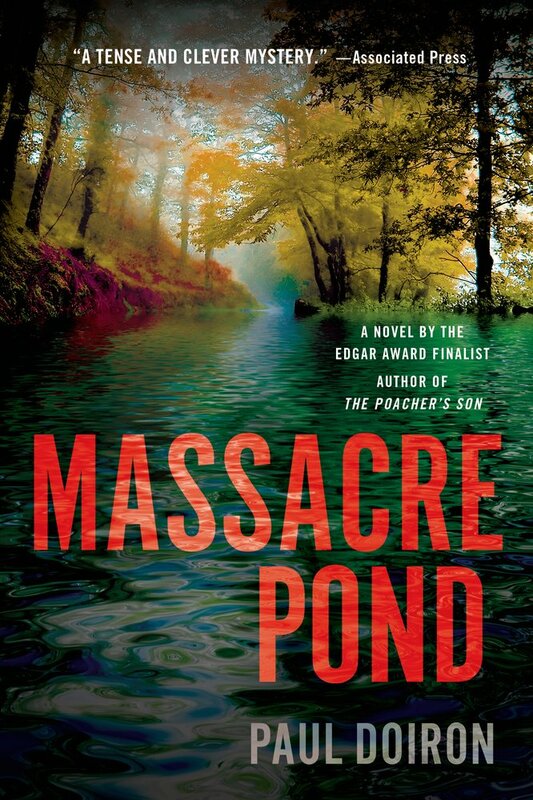 The paperback edition of Massacre Pond hits stores today which seems as good a time as any to revisit of one of the inspirations for the book: the controversy surrounding a proposed Maine Woods National Park. The plan—which was briefly tabled in 2013— has received new life since my novel went to press. While the idea remains toxic in certain communities (especially around Millinocket and East Millinocket), it is undeniable that the conversation has changed in tone over the past twelve months, due in large part to Lucas St.Clair, the son of environmentalist and philanthropist Roxanne Quimby. St.Clair is a fishermen and bird hunter, and after becoming the new public face of the campaign, he has worked hard to change perceptions about his family's plans for the newly named Katahdin Woods & Waters Recreation Area. The report his organization commissioned makes a strong case for the economic benefits of a federally managed preserve on the land east of Baxter State Park. Meanwhile, the woods product industry continues to face an uncertain future in the Katahdin region. The owner of the former Great Northern Paper mill entirely retooled its plans for the property, proposing to transform the facility into a steam-thermal pellet plant. The new facility would employ fifty workers: a far cry from the many thousands that were employed during the heyday of the Millinocket area mills. Over the course of the most recent legislative session, St.Clair's renewed public relations efforts received pushback from business and other interests in Augusta. Park opponents introduced a bill in the Maine Legislature that would have made it all but impossible for the Katahdin Woods & Waters Recreation Area to be turned over to the federal government — but the bill died in both the House and the Senate. Whether that vote will eventually be viewed as a turning point in the debate remains to be seen. What is clear is that changes are overtaking the Maine North Woods more quickly than anyone — myself included— predicted.